The woods are Jola's sanctuary. Here she can retreat from the world – far away from her possessive boyfriend and her overprotective mother. Yet lately she hasn't feel save in the woods any more. Something or someone is lurking here, watching her, following her. When Jola meets a boy who attracts her in a strange way, the mystery seems to be solved. She has no idea what other sinister secret the forest is keeping. And all the threads run together in a horrible crime Jola has been trying to forget for the past five years. 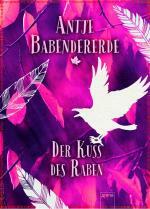 Bestselling author Antje Babendererde conquers a new genre and a new setting with this great novel for young adults. 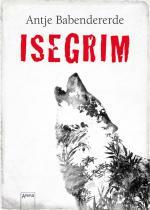 But Isegrim is much more than merely a gripping and perfectly plotted suspense novel in which the writer plays a masterful game of confusion with her readers. Simultaneously, it tells a touching love story and a sensitive tale of adolescence, thus fitting in no mainstream category. A masterpiece by a writer at her best. 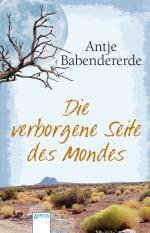 Since 1996, Antje Babendererde has been a freelance author, with a special interest in the culture, history and contemporary situation of the Native Americans. Her sensitive coming-of-age novels for adults and juveniles on this topic are not only based in her intense research, and trips to the U.S. but are also highly praised by reviewers. Isegrim is her first YA thriller. 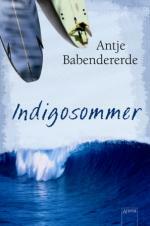 Antje Babendererde is the master in the art of writing emotional love stories set in grand sceneries more than most other authors. Her sober style touches the hearts of her readers since she always remains authentic – giving each reader, young and old alike, the feeling of actually being right there. An outstanding story about the longing for a long-lost first love – and a secret that could not be any more thrilling. Falling off the cliffs of Cap Flattery could easily have been fatal for Hanna. Yet she survives thanks to the Indian Greg, a Makah. Could the incident have anything to do with Hanna’s desperate search for her true love, Jim, who disappeared there five years ago? Accompanied by Greg, Hanna sets out to find out the truth. Yet while she is getting to know Greg better and better, Jim’s true identity is revealed to her step by step. Passion that will melt your heart! A moving love story with a glorious backdrop. A lonely beach, a long sommer and a love that must not happen. 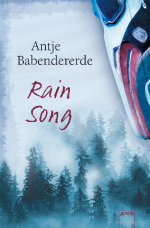 The bestselling author Antje Babendererde manages like no other author to make her characters’ feelings come alive, thus gathering a huge community of fans around herself. There are some days which will change a person’s life forever. 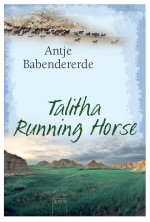 Halfblood-Lakota Talitha has already had some of them: the day when her white mother left back her family at the reservation, or the day when their old trailer of Talitha and her father caught flames. But luckily, there are also the good days. They tell of the splendid celebrations of the Native American Indians, and of Talitha’s first love. Even though Talitha is some kind of an outsider because she is a halfblood, she succeeds in winning Neil’s love. And she wants to take part at the Big Foot Rememberance Ride – with that, the Native American Indians remember their ancestors who died at the Battle at Wounded Knee. Of love and of silence – an impressive book! 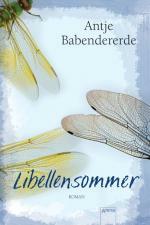 Antje Babendererde – highly praised by the critics and honored with numerous prizes – proves she is in a class of her own with her new novel. With the love story between 15-year-old Julia and silent Simon, she creates a very touching, complex novel that addresses the topic of speechlessness between people in a stirring way. A summer full of love, a summer full of magic, a summer of decisions. From the DeLiA Prize speech for DRAGRONFLY SUMMER: “Dragonfly Summer” will certainly draw more than just teen readers under its spell. 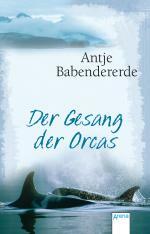 Because this story could scarcely be told more thrillingly and romantically than Antje Babendererde has done. Oliver can’t believe it. 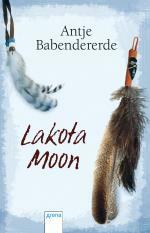 After many years of living alone, his mother wants to marry a real, live Indian – Rodney Bad Hand from the Lakota tribe! And as it that weren’t enough: Oliver and his mother are supposed to move away with him to an Indian reservation in South Dakota. Oliver has no other choice than to make the best out of it, even when if it means leaving his girlfriend Nina behind in Germany. At Rodney’s Pine Ridge Reservation, Oliver gets to see how the Lakotas really live, beyond all the cliches. He experiences social conflicts but also encounters people who speak up for the Indian’s own rights of self-determination, their traditions and wisdom. Against his will, Oliver has to communicate with his new, huge family. On the one hand, there’s Tammy, his new “cousin,” who’s so very different than Nina and who helps him understand some things. Yet there’s also Ryan, his violent-tempered stepbrother, who is filled with hate for Oliver and where he comes from. What does home really mean? And how can one ever accept such a drastic change in life? Moving away to the world of the Lakota Indians – that’s definitely more than just a trip! Oliver’s thrilling story not only tells of seemingly insurmountable conflicts, but also of the Indians’ wisdom, their closeness to nature, the strength they find in the family and how they deal with farewells and changes. Along with her father who makes documentaries, Sofie takes off on a distant and unusual journey. It’s a trip to the fascinating natural countryside of North America during which a childhood dream comes true for her: to see and hear whales just once! The journey turns into a trip back to the ancient traditions and myths of the Indians – and a trip to her inner self. The Makahs who were once whalers, allow Sofie and her father to take part on a whaling observation trip shortly after their arrival. The wild costal landscape and the majestic Orcas deeply impress Sofie – as well as her encounter with the Makah boy Javid who is so utterly different from all the boys she knows. Through him she gains insight into the traditions of the Makah – and into her own deep conflicts, too.